As a graduate in Music Education from the Eastman School of Music with 15 years of private teaching experience, Beverly Huo brings her love of music and passion for quality education together in her lessons for students of all ages and skill levels. Her positive approach combines with her depth of pedagogical knowledge to foster technically adept, expressive, and well-rounded violinists. While at Eastman, she studied with Mikhail Kopelman, former first violinist of the Tokyo String Quartet; performed with the Eastman School Symphony Orchestra; gave annual recitals; and taught in local elementary, middle, and high school orchestras in and around Rochester, NY. She has performed in Carnegie Hall and Benaroya Hall and frequently performs with the Puget Sound Symphony Orchestra, the Seattle Philharmonic Orchestra, and the Rainier Symphony Ballet Orchestra. She has been a music theory instructor, violin and chamber music coach for the Evergreen Music Festival, as well as violin coach for the Tacoma Youth Symphony Association. Additionally, she has been a clinician for numerous teacher training workshops, served as a board member for the Green River Music Educators Association, and taught at the Suzuki Summer Festival at the University of Puget Sound. 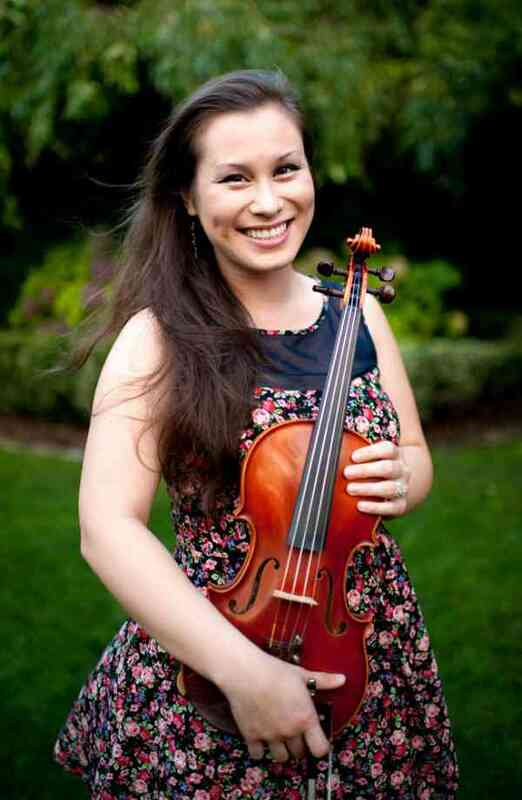 She received her Suzuki training from the Japan-Seattle Suzuki Institute with Kathleen Spring and is currently pursuing her Graduate Certificate in Suzuki Violin Pedagogy at the Lamont School of Music while maintaining an active teaching schedule. She is also a registered Music Together teacher and teaches mixed-age music classes for infants to five-year-olds and their parents in Bellevue, WA. With a firm dedication to lifelong learning, she constantly seeks out current research on music education and attends several professional development workshops and music education conferences each year, absorbing a multitude of the highest quality practices from around the world in order to continually improve her own teaching and to better serve her students. She spent a combined six years teaching elementary general music as well as band and orchestral consulting in the Auburn School District. There, she conducted up to 18 concerts a year including outreach concerts to nursing homes. She credits her holistic teaching style to her time spent in the classroom and extensive training in Orff Schulwerk, Kodály, and Dalcroze teaching methodologies, which cultivate the development of the whole child. Sing, say, dance, play, and create! Melding these approaches with her violin instruction has proven highly effective and brought out all the more heart and depth in her students’ playing. Currently serving Newcastle, Bellevue, Issaquah, Renton, and surrounding areas.